Instead of dining out on Valentine’s Day, enjoy a private, romantic evening at home. Take a break from expensive restaurants by cooking a healthy meal with foods that fight cancer. 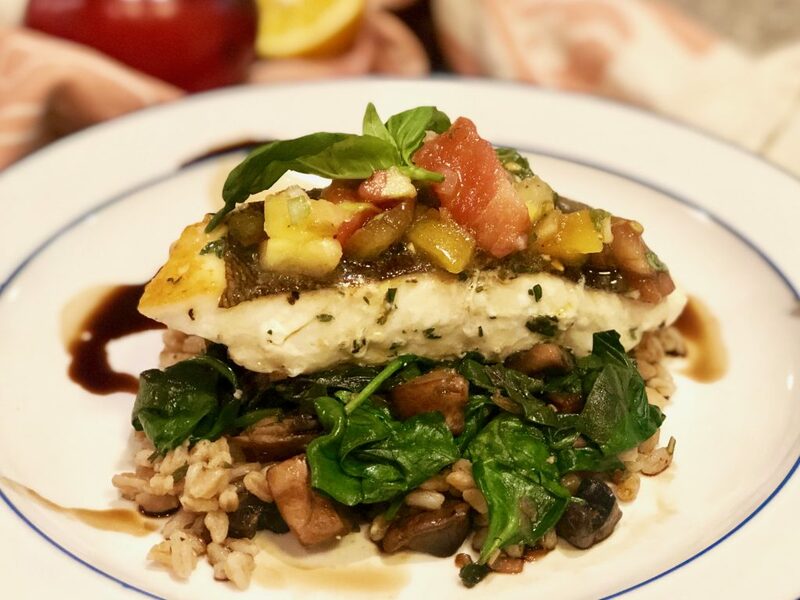 Try this – pan-seared halibut with heirloom tomatoes served over herbed farro and garlicky-greens and mushrooms. The combination of flavors and the bright color pop from the heirloom tomatoes make this meal perfect for Valentine’s Day. Halibut is a lean, protein-rich fish containing heart-healthy omega 3 fatty acids. Tomatoes are rich in vitamins A and C, as well as the antioxidant lycopene (and are one of AICR’s Foods that Fight Cancer™). Farro is a nutty-tasting whole grain that is similar to brown rice but with even more flavor and texture. It’s a great source of dietary fiber, antioxidants, and important vitamins and minerals (such as magnesium, zinc, and vitamin B3). The dark leafy greens and garlic are both packed full of cancer-protective nutrients. 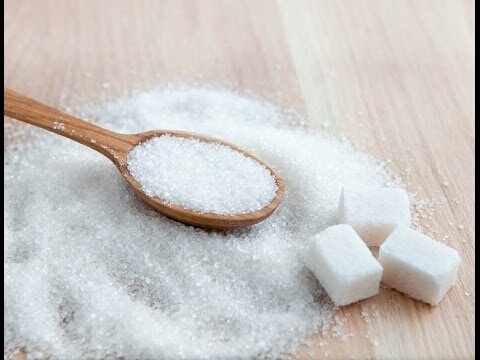 Similarily, garlic is not just excellent for adding flavor to dishes, but also rich in flavonoids and inulin that (a carbohydrate that stimulates the growth of beneficial bacteria in the body). When cooking a meal like this, it’s important to have everything prepped and chopped ahead so you can focus on cooking the fish perfectly. Because halibut is a relatively lean fish, you want to be careful not to overcook it, as it can easily taste dry when overcooked. Begin by cooking the farro and prepping the tomato topping. Keeping the tomato topping at room temperature helps bring out the flavors, but you can also make this portion of the meal a day in advance and store in the fridge. If so, take it out when you begin cooking to let it come to room temperature. The greens and mushrooms cook fast, so can be made right before you are ready to pan-sear the halibut. Cooking the fish only takes a few minutes. 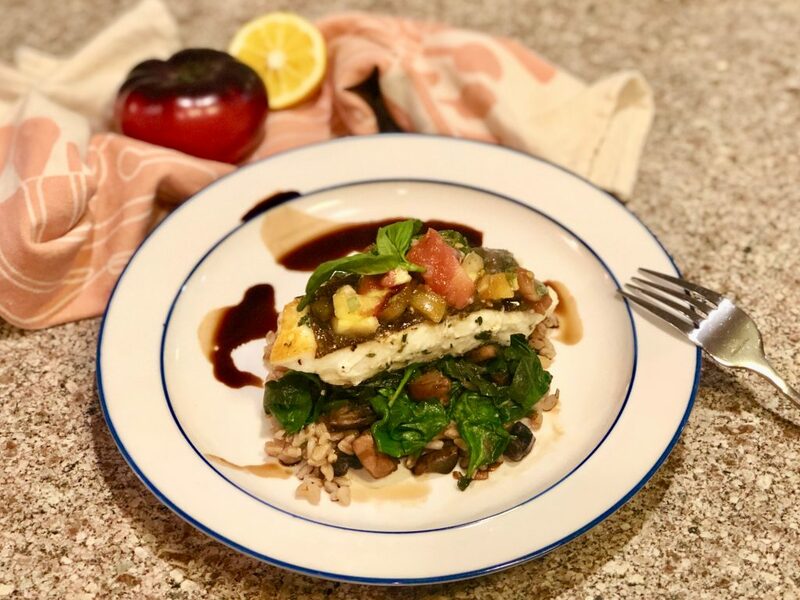 You can cook halibut with or without the skin (depending on how it comes from your local grocery store). Any non-stick skillet or cast-iron pan will work, just make sure the pan is nice and hot to get a beautiful-looking sear on the fish. If your fish has skin on it, cook the skin-side down first before flipping. Additionally, If you get a large filet, cut it into individual portions before cooking. While your fish is cooking, set up your plates. Start by adding a ½ cup serving of farro to each plate, topped with your sauteed greens and mushrooms. Transfer the cooked fish on top of the greens and grains, and finally garnish with the heirloom tomato topping. If you really want to look impressive, drizzle balsamic glaze on the plate and garnish the fish with a couple of extra basil leaves. What are you cooking up this Valentine’s Day?